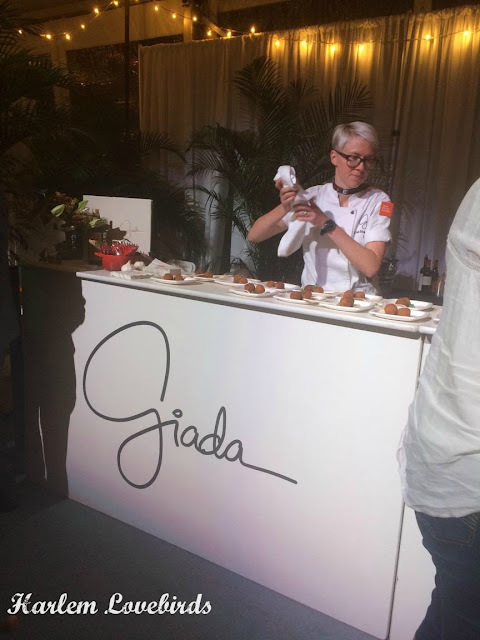 Disclosure: Samsung Home Appliances provided my sister with complimentary admission to Giada De Laurentiis' Italian Feast presented by Ronzoni at NYCWFF; all opinions expressed are my own. 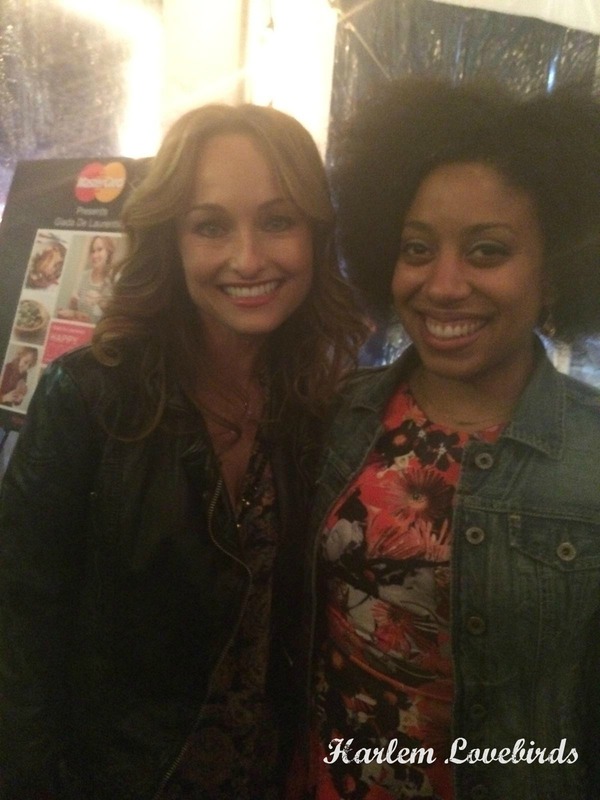 When you can't make it to NYC to meet Giada De Laurentiis what do you do? You send your sister instead! Five years ago I posted a round-up of a few of my favorite celebrity chefs and of course included Giada De Laurentiis on my list. I've been a fan of hers for years (someday I'll make it to her Vegas restaurant! ), and when Samsung Home Appliances invited me to her Italian Feast at the New York Wine and Food Festival initially my heart sank as I had a conflict the day of the event, but an idea sprung into my head: if I couldn't meet Giada perhaps I could share the opportunity with my sister. Lo and behold it worked out and she was able to attend on my behalf - as she shared pictures of the evening with me seeing how much fun she was having made me happy! Upon arriving at Pier 94 Ariane ventured up to the rooftop where it had been transformed to a food bazaar. 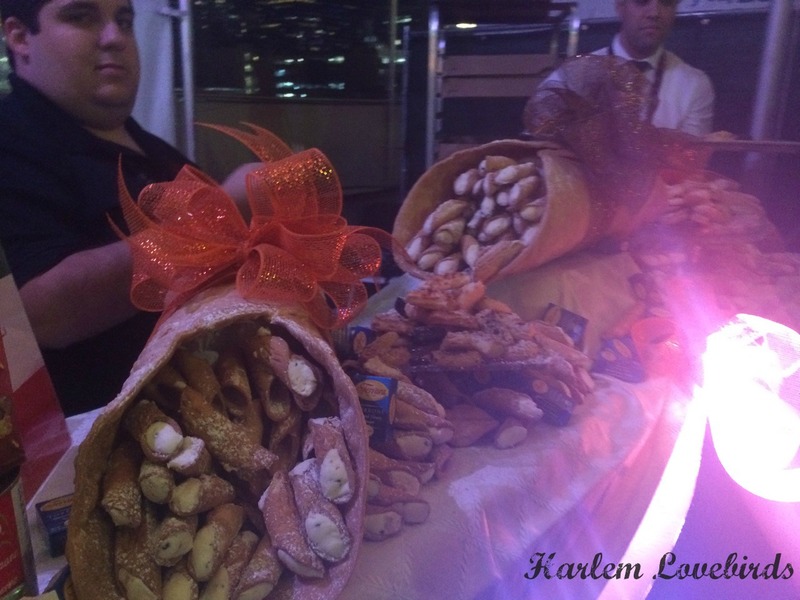 She checked out the view and started heading around to the food stations and demonstrations. As the pictures of all the amazing food started lighting up my phone there was one thought on my mind: "I hope she wore stretchy pants!" As the evening wore on my sister's eating strategy evolved as she started out thinking she'd just try apps and mains first before desserts, but she soon abandoned that and it turned into a free for all. I totally would've done the same thing! A cannoli before pizza, why not?! Yes! 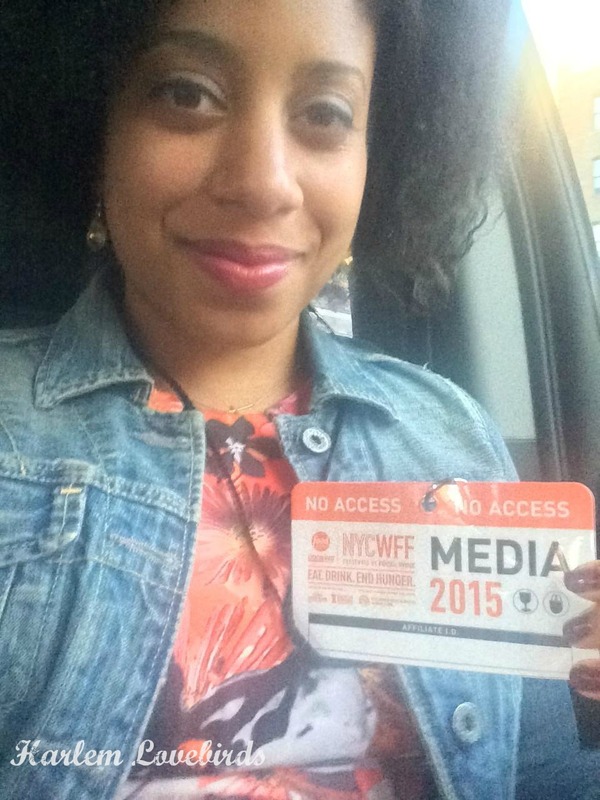 My dream fulfilled (albeit vicariously). The best part? Ariane said Giada was as kind, warm and down to earth as she comes across on TV. Of course! The evening still wasn't over! 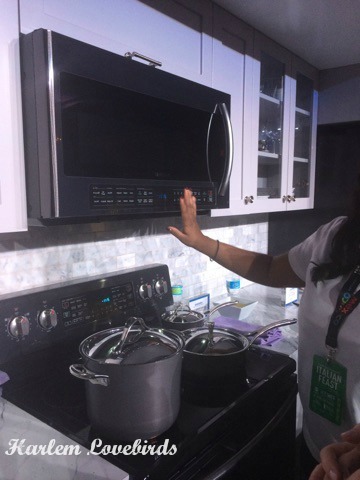 My sister got to experience Samsung Home Appliances stunning Black Stainless Steel Collection. 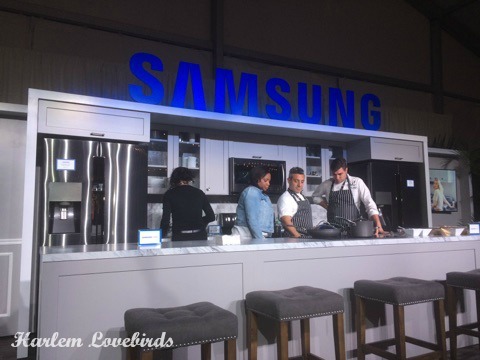 I've attended Samsung events in the past and they really know how to pair style and function! 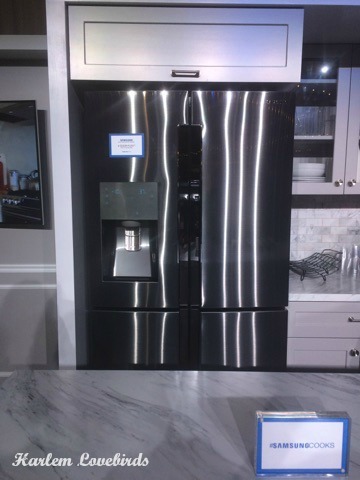 It's no different with their new collection: the 4-Door Flex™ Refrigerator, the Flex Duo™ Range with Dual Door, the Top Control Dishwasher with WaterWall™ Technology, and the Over the Range Microwave are making me think about our future kitchen when the time comes for us to purchase a home. As a mom I appreciated the fact that the appliances were designed with families in mind: they are fingerprint resistant and have magnetic surfaces (there's never enough places to hang Nia's artwork!). Additionally, with the holidays approaching Samsung introduced the Chef Collection Slide-in Dual Fuel Range which combines award-winning Flex Duo™ technology with a combination gas cooktop and electric oven - truly the best of both worlds! 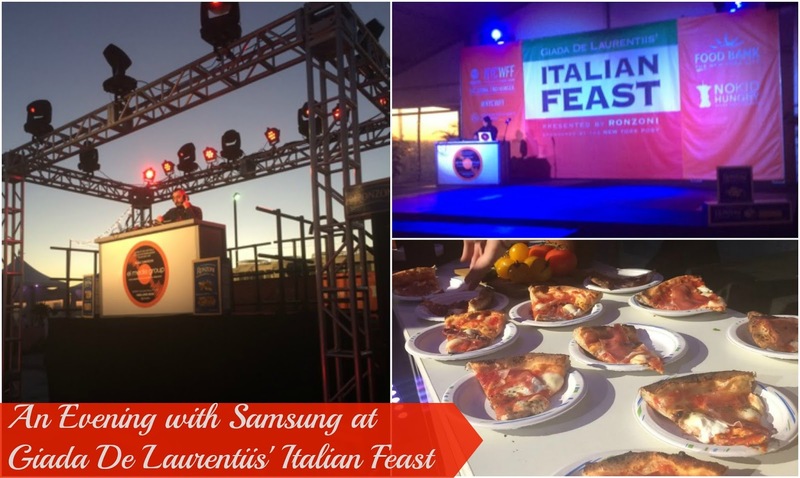 I'm always curious about partnerships and causes at events like this and was thrilled to learn about Samsung and the Culinary Institute of America's relationship to bring technology to the kitchen. I'm a foody nerd and The Making of a Chef, one of my favorite culinary books, chronicles the experience at CIA and years from now when I'm an empty nester I dream of making it there for cooking classes. 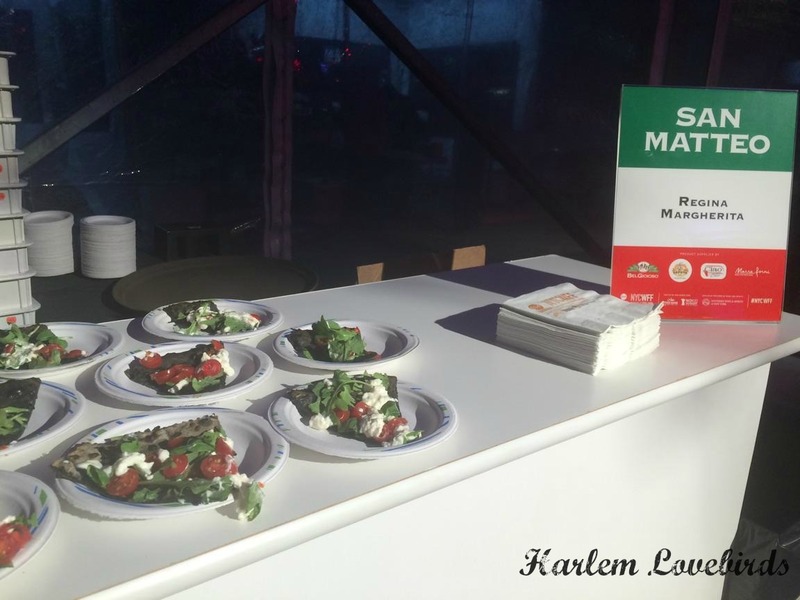 Additionally, the proceeds from NYCWFF benefitted the hunger-relief organizations Food Bank For New York City and No Kid Hungry®. 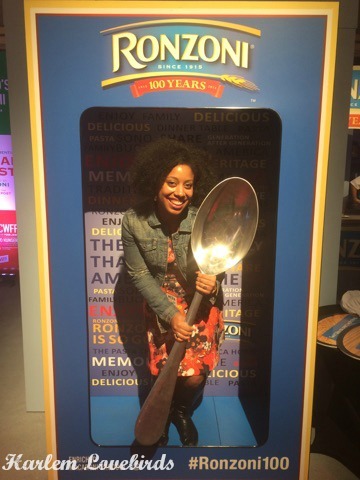 My sister makes that spoon look good! 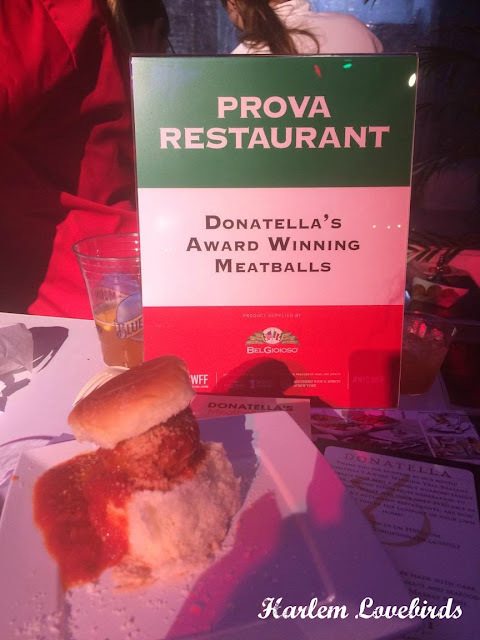 Thank you to Samsung and Ronzoni for a delicious evening and to my sister who gave her waistline for a good cause - I'm marking NYCWFF now in my calendar for 2016! Also, be sure to visit Samsung's website and follow Facebook and Twitter for the latest product news. 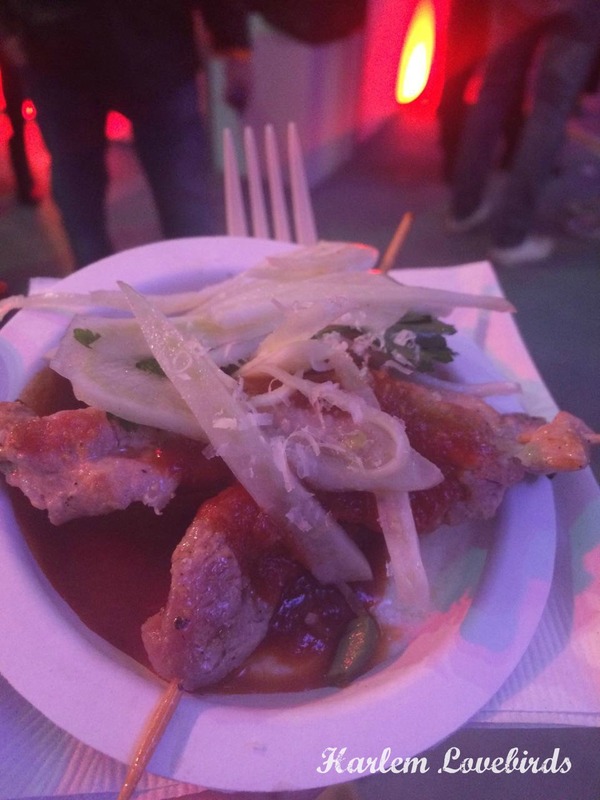 Have you ever been to a food festival? 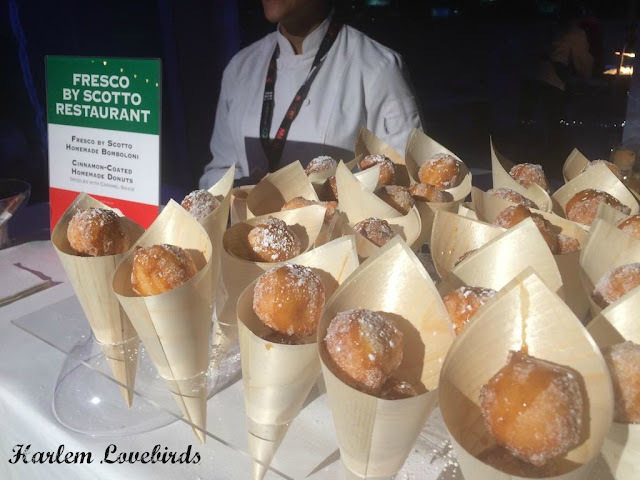 Which celebrity chef would you like to meet (or have you met! )?